The UNESCO World Heritage property comprises the city of Venice and its lagoon situated in the Veneto Region of Northeast Italy. Founded in the 5th century AD and spread over 118 small islands, Venice became a major maritime power in the 10th century. The whole city is an extraordinary architectural masterpiece in which even the smallest building contains works by some of the world’s greatest artists such as Giorgione, Titian, Tintoretto, Veronese, and others. In this lagoon covering 50,000 km², nature and history have been closely linked since the 5th century when Venetian populations, to escape barbarian raids, found refuge on the sandy islands of Torcello, Jesolo, and Malamocco. These temporary settlements gradually became permanent and the initial refuge of the land-dwelling peasants and fishermen became a maritime power. Over the centuries, during the entire period of the expansion of Venice, when it was obliged to defend its trading markets against the commercial undertakings of the Arabs, the Genoese, and the Ottoman Turks, Venice never ceased to consolidate its position in the lagoon. In this inland sea that has continuously been under threat, rises amid a tiny archipelago at the very edge of the waves one of the most extraordinary built-up areas of the Middle Ages. 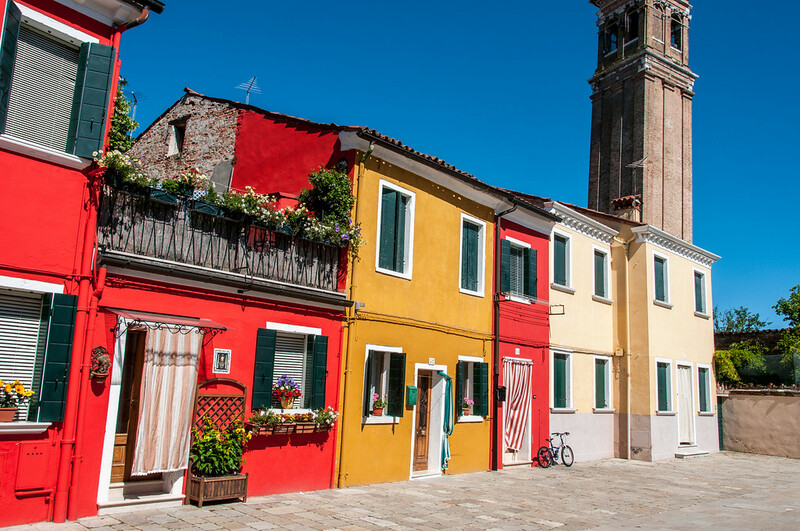 From Torcello to the north to Chioggia to the south, almost every small island had its own settlement, town, fishing village and artisan village (Murano). However, at the heart of the lagoon, Venice itself stood as one of the greatest capitals in the medieval world. When a group of tiny islands are consolidated and organized in a unique urban system, nothing remained of the primitive topography but what became canals, such as the Giudecca Canal, St Mark’s Canal and the Great Canal, and a network of small rii that are the veritable arteries of a city on water. There isn’t much to say about Venice that you probably don’t know. It is beautiful, it is romantic, and it is insanely expensive. Venice is one of the most popular tourist destinations in Italy. A photo of its lagoon and the gondolas navigating its massive water system is an iconic tourist shot. Hence, it comes as no surprise that it has captured the attention of UNESCO and it was inscribed as a cultural site in 1987, along with its expansive lagoon that has become a huge part of the city’s identity. Venice is the capital of the Veneto region in Italy. It is located amidst a group of more than 100 islands that are separated by canals and linked via bridges. The city of Venice is located in the shallow part of the Venetian Lagoon. This is an enclosed bay that has come to be the notable city of Venice that is frequented by tourists from all over the world. Venice and its Lagoon is known for its variety of names including City of Bridges, City of Canals, and the Floating City. 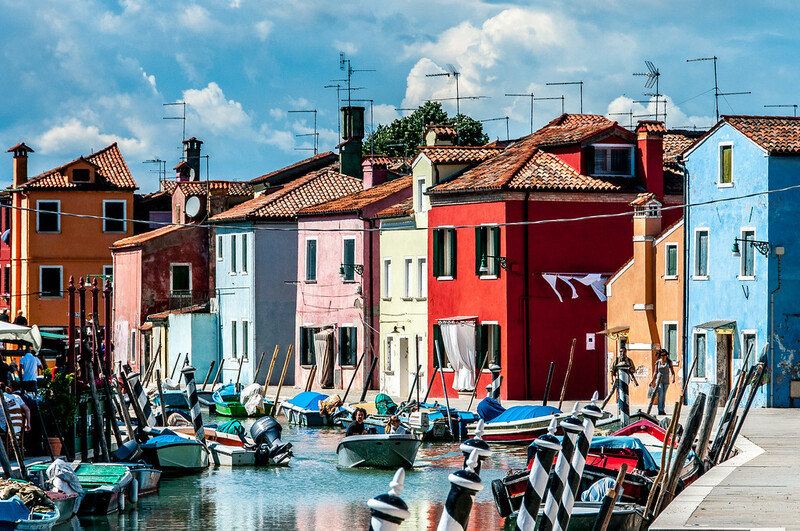 Aside from being known for its singular beauty, Venice and its lagoon are noted for its long and storied past. The city was founded out of necessity during the 6th century in order to flee the Barbarian invaders. By the year 1000, Venice was already among the most powerful cities in Europe. Over the years, the city continued its development until it emerged as an important cultural, political and commercial center. In fact, you will find some testaments to that power until today in the form of its palaces, elaborate bridges, and splendid piazzas. The city has received consistent threats from flood tides that are pushing in from the Adriatic Sea. These threats are highest during autumn and spring. About 600 years ago, the locals of Venice diverted the flow from the major river into the lagoon at the city in order to deter land-based attacks from invaders. This resulted in making the lagoons a lot deeper. Over the years, the Venetians are met with the problem of tides coming in and creeping a few centimeters into the quay. In fact, many of the old houses in Venice had the ground floor uninhabited due to the threat of flooding. For this exact same reason and threat, the city was named as a world heritage property in order to aid in the conservation efforts of the city’s long and storied culture. The city of Venice is noted for its rich history, maritime power, and architectural masterpiece. All of these combine to make the UNESCO World Heritage Sites one of the most notable ones in Italy. 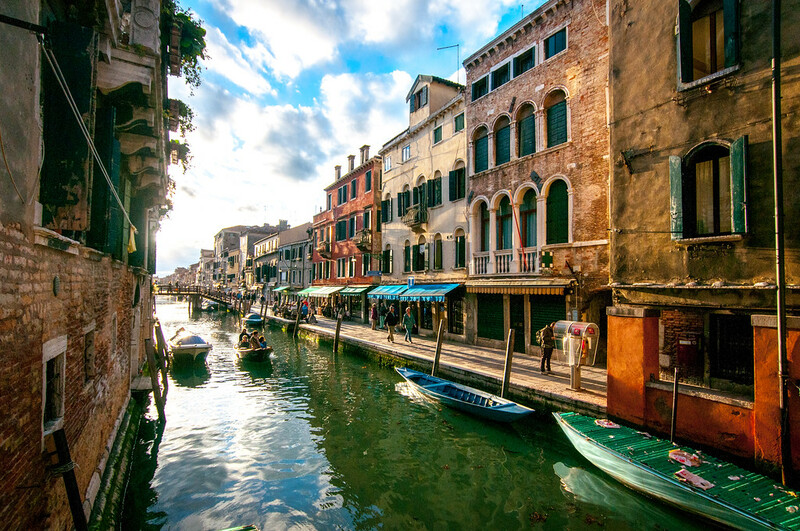 Even though the city of Venice is popular for its various historical buildings (such as the St. Mark’s Basilica, Piazza San Marco and other works from artists like Titian, Veronese, and Giorgione), the lagoon is an integral part of its identity. The entire lagoon measures at 50,000 square kilometers in total area. It has exemplified how nature and history have interlinked with each other. Despite the many old buildings and the threat of flooding from the lagoon, the city of Venice is quite notable for its state of ‘elegant decay’. 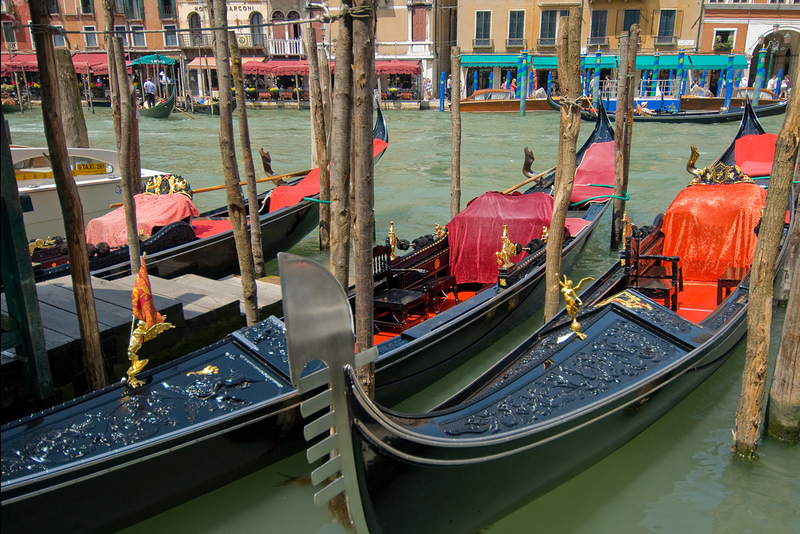 The city of Venice has an average daily tourist visit of 50,000. 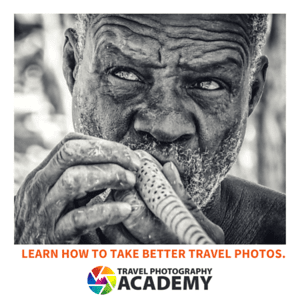 It consistently ranks as one of the most internationally visited cities in the world. There is an average of 20 million international arrivals annually (as of 2007). Venice authorities are currently considering putting a cap on tourist arrivals to prevent over-crowding and to protect the integrity of the historic city center. 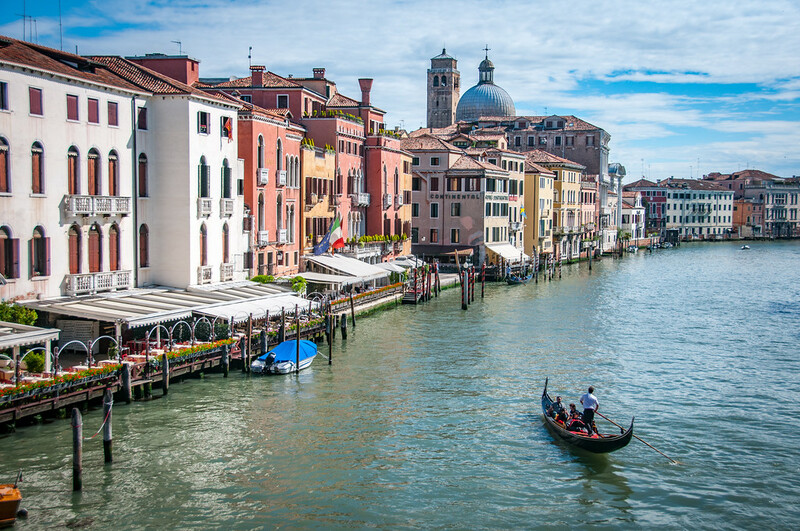 Venice is home to many tourist attractions but the most popular among tourists include the Grand Canal, the Piazza San Marco and the St. Mark’s Basilica. According to the Cruise Venice Committee, about 150 million Euros are spent by cruise ship passengers during their trip to Venice annually. Venice, Italy is on my list . Beautiful and romantic, I’ll try to forget the expensive part.